Tyler Jeffrey Smith is an award-winning, festival-selected actor, filmmaker, writer, improviser, and teacher. In 2018, Tyler directed and edited the short film Lunch Break, a workplace dark comedy about sexism, written by and starring Mo Allen, which premiered at the Lady Filmmakers Festival, winning best in its category. In 2016, his web series Goodnight Jeffrey was accepted to the second round of the Sundance YouTube New Voices Lab. In 2015, his web pilot Goodnight Jeffrey was an official selection at New York Television Festival (NYTVF), Austin Film Festival, Midwest Independent Film Festival (nominated for Best Actor), Chicago Shorts Festival, and Premiere Film Festival (winning Achievement in Best Short Film Writing). In 2013, Tyler co-created the surrealistic sketch comedy TV pilot Exquisite Corpse, winning Best Actor at NYTVF. He was also co-founder of the critically acclaimed comedy group Claymore, having produced dozens of live-written shows and web videos. 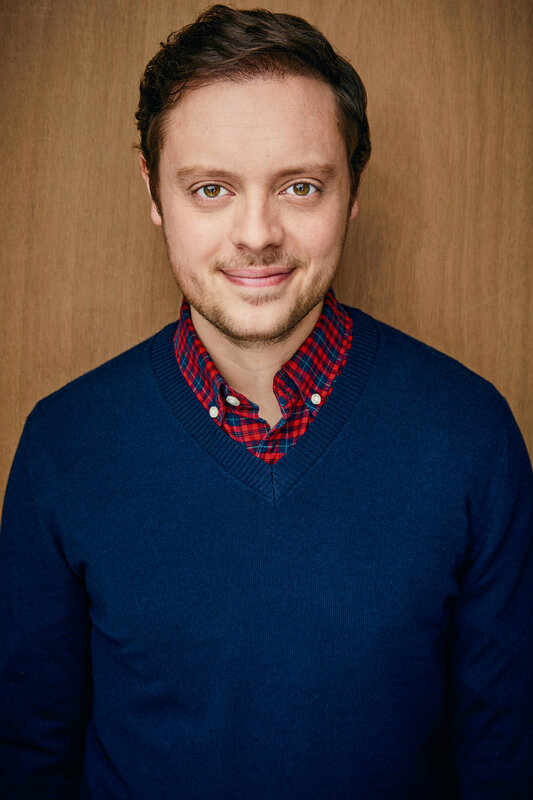 As an actor, Tyler has appeared on Shameless (Showtime), Snoop Dogg's music video "Lavender," the award-winning TV pilot Family Heirloom, lent his voice to Disney's A Wrinkle in Time, and performed at the Kennedy Center, Symphony Center, Pritzker Pavilion, The Neo-Futurists, Studio Theatre, Round House Theatre, Hangar Theatre, Annoyance Theatre, iO, Del Close Marathon, Toronto International Improv Festival, Chicago Sketchfest, Out of Bounds Comedy Festival, and Chicago Improv Festival. As a writer, Tyler's Goodnight Jeffrey TV pilot advanced to the second round of the 2016 Austin Film Festival Screenplay Competition. His feature script Between Wind and Water won the First Look Screenwriting Competition at Premiere Film Festival and was in the Top 500 for the 2015 Nicholl Fellowship competition. With an MFA in screenwriting, Tyler teaches film structure for the University of Cincinnati. Tyler has also been the on-set social media producer for TV Land's Teachers, Nobodies, and Lopez. He currently lives in Los Angeles with his beautiful wife, who also happens to be Mo Allen.